Digital and social media marketing are the cornerstones of businesses succeeding in the technological world. The ways in which we harness the internet in order to spread our content the best we can are endless, and rightfully so. However, with so much buzz around the best and most efficient ways to succeed in gaining traffic, it’s hard to weed through what’s fake to get to what’s real. 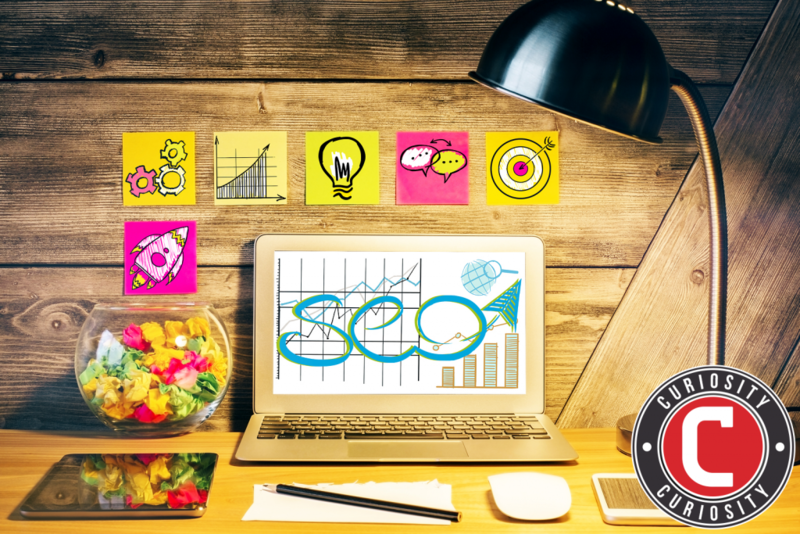 What are the best ways to get the traffic we’re looking for, and how do we effectively implement SEO in digital media marketing? Luckily for you—and for us!—we’ve got the answers you’re looking for regarding the importance of SEO in digital marketing. Phil Singleton of Kansas City Design and SEO tells us all we need to know about the importance of SEO in digital media marketing, and the plot holes we can avoid in order to find true success. 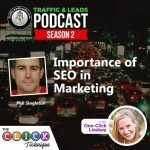 From how he got his start in the SEO business to business strategies and the things we can do in order to procure safe backlinks to using outreach for our own benefit, he’s got the answers on what it takes to make sure you’re marketing is successful. Before we can get into the details of that, however, we can’t forget The CLICK Technique! The CLICK Technique is an easy, five-step program that I’ve come up with to help all business owners get their footing at the beginning of their journey. Each letter in the word “CLICK” stands for a word or a phrase—something you’ll want to check off your to-do list when starting your online marketing adventure. With proven success (and an offer you can’t refuse—The CLICK Technique is free! ), the CLICK technique can help us out. In this case, the letter we’ll be focusing on is the first “C”, which stands for “curiosity”. In the beginning, you’ve got to start with something that’ll make people curious about what your business—and, at a first glance, your website—has to offer. A good hook and a great first impression are what brings people back for more. The importance of SEO in digital marketing is no different! In order to harness the power of SEO and really bring in the traffic, we need to make search engines curious about what we’ve got to offer. That way, climbing up through the ranks can be a task that’s easily accomplished, and the content we’re creating is making a difference. The ways in which we share said content, however, are vast, and vary in what we do, and what we have to do in order to harness their power. In Phil’s words, SEO used to be a “behind the curtains” sort of job. Businesses would pay to manipulate search engines, and people would attempt to “game the system” in order to turn the tides to their advantage. Working like that drove the SEO industry for years, and it’s only recently that things have seemingly changed. About five years ago, Google made an executive decision. Tired of people trying to cheat their way towards traffic and leads, they changed the algorithm of how things work. If you ask Phil? It’s been for the better. Google goes a great job of collecting and grading information and ranking websites and businesses on such a wide variety of factors. It makes things a little fairer and more even. It’s more than just backlinks now; it’s about viable and educational content, and the system does much better when the ranking system looks more like marketing than SEO. That’s what Phil is trying to do, after all: he tries to look at business and marketing the way that Google is looking at it. But, how does one get a start when the tides are changing? No worries—Phil’s got us covered with some tips and tricks he’s learned over the years. He tells us the best ways to harness the internet for your needs and stresses the importance of SEO in digital marketing by making a big staple on creative and driven content. Let’s talk hypotheticals for just a moment: say you run a blog, and the blog is scheduled to post a certain amount of articles a certain amount of times per week. The articles can relate to content, but for the most part, they seem to be standalone pieces, focusing on one thing or another. If you were to look at this in an SEO way, you should be thinking in different terms. Thinking in terms of making the blog posts into a series (ten or fifteen posts together) rather than randomly posted pieces, you’ll get the success you’re looking for. Mapping out a strategy and seeing what can stand independently can give you a starting point, and keeping the things together that serve as a series can then be turned in a variety of things—such as an eBook that you can then offer through your website with all articles bound into one for people to enjoy whenever they’d like. Perhaps send it to a Kindle as well, where you can feed RSS from websites, create traffic, and elevate your own personal authority. Using the importance of SEO in digital media marketing, and approaching things from an SEO standpoint, helps you get more from the activities you’re already doing for your business, and it inflates the type of things you’re trying to do in order to generate traffic and leads. However, don’t forget: think about the extra benefits involved for you, too. Don’t blog specifically FOR Google, but keep it in mind. That way, you can get multiple wins from multiple angles. And, as always, work with the customers—put a strategy together, brainstorm a table of contents that’ll serve as your working point, and give them fire to “fuel the beast” in order to inspire them and get them to start writing their content. Backlinks, for those who don’t know, are any third party links that lead back to your website. However, they have to come from authority websites that are relevant to your niche in order to work properly. If people cannot recognize the link they’ve been sent, then the backlinks could hurt you more than they could help. In this case, we have to think about creative ways to put content on third party websites that establish them as an authority figure and helps educate people, as well as earning traffic back to the main site. This is a fundamental in the importance of SEO in digital media marketing. For example, if you find your links on someone else’s website, you have to stop and ask yourself two things—one, are you proud to have your content there, and two, how did the content get there? Did you earn the space on that website, or did you pay to have someone promote your business? If you earned it, whether it be through provided information between businesses or a guest blog appearance, then it’s beneficial to your cause. If you’re doing it only for the mere purpose of backlinks, you’re doing it wrong! Also—don’t be afraid to do outreach to people who you know can help you! Trying to leverage what you’ve got in order to become a regular contributor, you’ve found yourself in a position to provide educational and important content, and what you’re doing is helpful to your case. Whether this be through using sites that help boost local visibility, blog posting, or leveraging businesses or associations you might belong to, you can earn high-quality backlinks in exchange for good content. And that’s how you skyrocket. The topic of social media and it’s affects on the importance of SEO in digital media marketing are highly debated among professionals and business owners alike. While the official stance from Google is that there is no direct correlation between the posts you make across social media platforms and the amount of traffic you’re getting, Phil’s—and my own!—personal opinion differs. Spreading your content across social media, and the internet as a whole, has to help you and your SEO. If you’ve got something that’s linkable, then people are going to see it, and they’re going to use it. Social signals are the only way to truly get your content out there for people to see and intake, especially in a world where the importance of SEO in digital media marketing is extremely high and prevalent. In Phil’s words, “When we set up websites for our clients […], when we publish and distribute good content, the clients get better search engine results than those that don’t.” He attributes this solely to social signals, and we can’t say we blame him—nor do we disagree! Let’s not forget Phil’s book, either—SEO for Growth, a book that he proudly describes as being an excellent exercise in optimization, is a great resource for using SEO to engage with customers. There’s tons of easter eggs that encourage people to link back and promote the book, and through this, Phil was able to make an authority website about the book that led to fifteen child sites, each for a different state, that makes it’s own ranking potential. The book is used as platform to draw backlinks, leverage SEO work, and to start generating SEO leads in the cities that they’re promoting through the child sites. Talk about a job well done! Lindsey, you have done a great job by posting such an interesting SEO related topic. 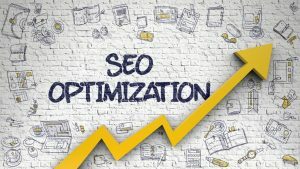 Each and every aspect specified in your post explains all the possible outcomes for SEO techniques.